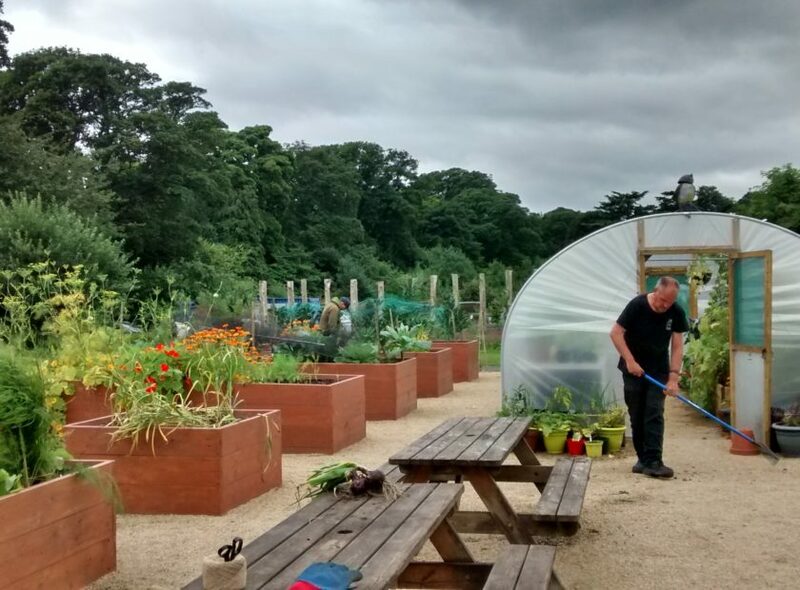 Ravenscraig Walled Garden is already a thriving community asset, with individual allotments and plots for community groups managed by Kirkcaldy Community Gardens & Allotments, and our established community orchard. The garden is Common Good Land and the site was brought back into use in 2012. Our community training garden and room (part of our Community Food Hub project) offers courses, training and volunteer opportunities in gardening and growing your own fruit and vegetables. Our space includes a polytunnel, raised beds, seating area and an indoor classroom. We also maintain a Community Orchard, with over 100 fruit trees and a “wild area” set aside for wildlife. We run weekly volunteer sessions, at which volunteers develop and maintain the site, grow fruit and veg, plant trees and flowers, and make habitats for biodiversity. If you are interested in volunteering with us, you can get more information on our Gardening and Growing volunteer page. See upcoming workshops and events on our events page.